The explosion of spread offenses has transformed college football in recent years. Not surprisingly, the majority of offensive attacks that figure to be the best in 2018 center their tactics around the revolutionary schematics. Each spread team has its own unique wrinkles, although some offenses have more of a traditional, pro-style system at their foundation, with spread concepts sprinkled in. Here is a look at the 10 best offenses that figure to light up plenty of scoreboards this coming season. Edging out Wisconsin for this slot due to quarterback play, the Huskies have a three-year starter in Jake Browning back to lead the offensive charge this year. Browning lacks arm strength but does enough to distribute the ball efficiently. He’s thrown 62 touchdowns to only 14 interceptions over the past two seasons, and has a prolific running back in Myles Gaskin to hand the ball to. With three straight years of over 1,300 yards rushing, Gaskin is the steadiest back in the country. The NFL likely awaits Washington’s bell cow back once he’s finished his epic Huskies career behind a seasoned, stout offensive line. Josh Heupel called plays at Missouri a season ago and helped Drew Lock accumulate 44 touchdown passes. Now he takes his offense to Central Florida, which went undefeated this past season. Knights signal-caller McKenzie Milton accounted for 37 touchdown passes and eight scores on the ground last year. Don’t expect much of a drop-off in his performance with a new head coach calling the shots. UCF still has 2017 lead rusher Adrian Killins Jr., not to mention Otis Anderson, a pass-catching threat out of the backfield. Receivers Dredrick Snelson and Gabriel Davis are both over 200 pounds, giving Milton a couple physical playmakers to distribute to. The only reason the Owls aren’t ranked a little higher is because they face a lower tier of competition. Nevertheless, they’ll be among the most potent offenses in the country just like last season. Head coach Lane Kiffin’s explosive spread attack was centered around returning running back Devin Singletary, who ran for 1,920 yards in 2017 and a whopping 32 touchdowns. Singletary was the driving force behind Florida Atlantic’s 10-game winning streak to close the year. Kiffin now has a 25-year-old offensive coordinator in Charlie Weis Jr., making the Owls’ follow-up act on offense all the more compelling. The Urban Meyer scandal clouds Ohio State’s immediate future. Whether the head coach is around or not, though, there’s too much talent to ignore on the Buckeyes offense. 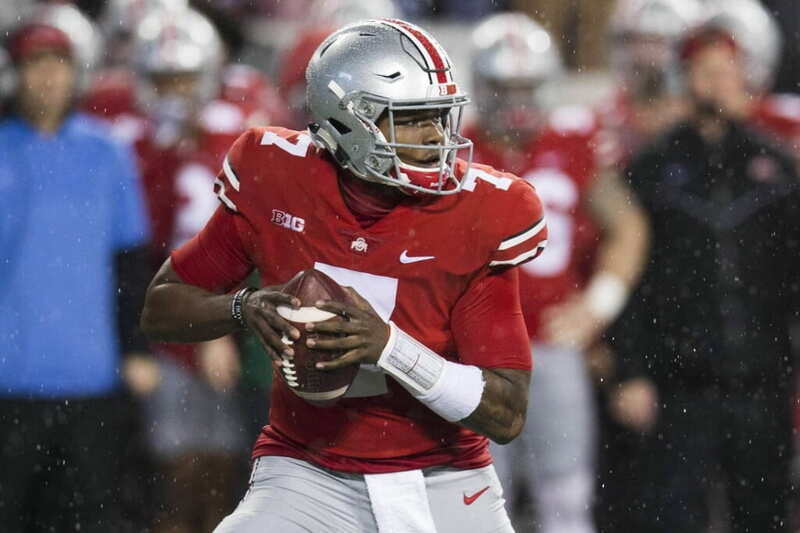 New quarterback Dwayne Haskins showed last season in the Michigan game that he was a superior passer to long-tenured starter J.T. Barrett. Parris Campbell is the clear No. 1 wideout, but keep an eye on Johnnie Dixon, who averaged 23.4 yards on 18 catches in 2017 — eight of which went for touchdowns. Ohio State’s rushing attack, spearheaded by 1,000-yard rushers J.K. Dobbins and Mike Weber, will give Haskins plenty of opportunities for chunk gains on play-action passes. Look beyond the surface level and there’s a lot to like about the Rebels’ offense in 2018. Yes, they’re postseason ineligible. Quarterback Shea Patterson transferred to Michigan. His replacement, Jordan Ta’amu, went 3-2 as a starter in his stead last season. But Ta’amu is a more capable runner than Patterson, averaged 9.7 yards per attempt and completed 66.5 percent of his passes. You can bet Ta’amu is out to prove something during the SEC campaign. Between top NFL draft prospect A.J. Brown, DaMarkus Lodge and D.K. Metcalf, the Rebels have three receivers who averaged over 16 yards per catch a season ago. Look out for Ole Miss as one of the nation’s highest scorers despite losing Patterson. Fearless forecast: the quarterback controversy that shouldn’t be will end soon, with Tua Tagovailoa eclipsing Jalen Hurts as the starter. Tagovailoa relieved Hurts in the national title game and beat Georgia in overtime on an epic game-winning touchdown pass. With a true passing threat in Tagovailoa running the show, the Tide are all the more dangerous. Their offensive line is massive, with a deep backfield led by Damien Harris and Najee Harris. A trio of sophomore receivers — Henry Ruggs III, Jerry Jeudy and DeVonta Smith — have explosive, playmaking ability. Any one of them could be breakout stars this year. Sophomore quarterback Jake Fromm returns after leading Georgia to the national championship game as a true freshman. 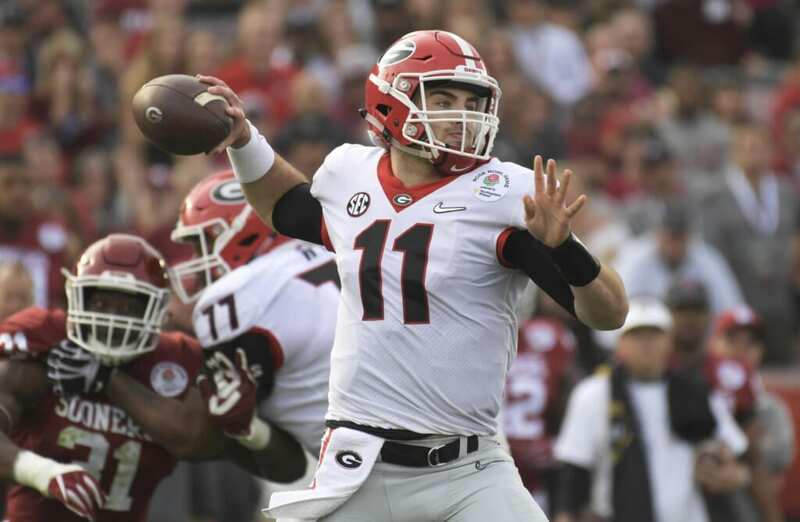 Although the Bulldogs lost to Alabama, Fromm acquitted himself well on the College Football Playoff stage. Despite losing its two leading rushers, Sony Michel and Nick Chubb, to the NFL, along with leading receiver Javon Sims and offensive lineman Isaiah Wynn, Georgia has plenty of talent still on the roster left over. D’Andre Swift is poised to become among the biggest home-run threats in college football at tailback. Plus, Justin Fields, 247Sports’ top 2018 dual-threat quarterback, will add more spread flavor to the Bulldogs’ multifaceted pro-style attack as another dangerous playmaker. Reigning Heisman Trophy runner-up Bryce Love returns for his senior year after running for 2,118 yards and 19 touchdowns in 2017. Love did that without a stable quarterback situation to boot. The Cardinal figure to have their most important position settled with K.J. Costello under center. He has plenty of arm strength and quick processing ability to make the requisite reads and throws in Stanford’s multifaceted system. Senior receivers J.J. Arcega-Whiteside and Trenton Irwin have invaluable experience and will benefit from more continuity at quarterback. Then the Cardinal have big targets at tight end in Kaden Smith (6-foot-5) and Colby Parkinson (6-foot-7) who can create matchup nightmares for the opposition. Pro Football Focus ranks Will Grier as the No. 2 quarterback prospect among those eligible for the 2019 NFL draft. Another reason to be optimistic about West Virginia’s outlook is its receiving depth. 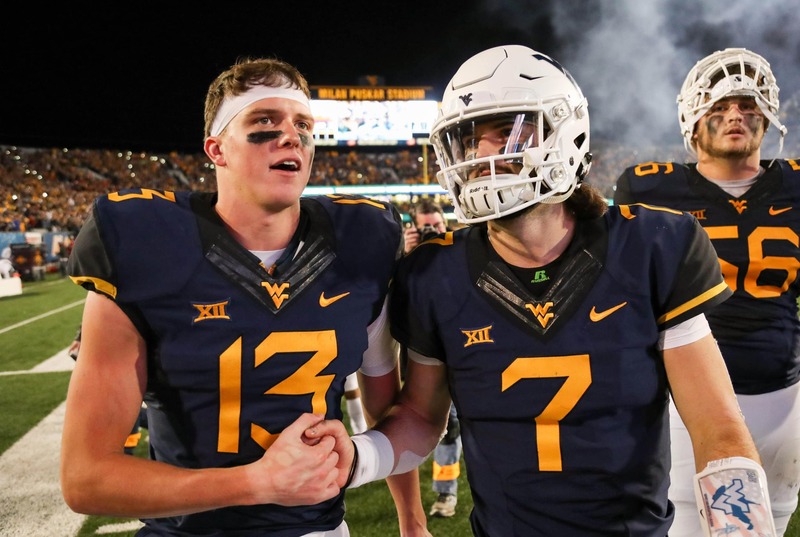 Prior starters David Sills and Gary Jennings return after strong seasons. Due to Alabama’s receiver logjam, West Virginia also welcomes former Tide pass-catcher T.J. Simmons. The sophomore made a serious impression in spring ball, per Rivals.com’s Mike Farrell. Junior Kennedy McKoy will have to step up as the feature back. If his 25-carry, 137-yard effort against Oklahoma last year was any indication, McKoy seems up to the task to shine in a greater role. Despite the departure of Heisman Trophy winner and No. 1 overall NFL draft pick Baker Mayfield, Oklahoma should remain as a premier offense with, strangely, a top MLB draft pick as Mayfield’s successor. That’s right. Kyler Murray, a former 5-star football recruit who transferred from Texas A&M, is finally ready to announce his true arrival on the college gridiron. Murray is a dynamic dual-threat weapon who Mayfield claims will break all his records. Sooners coach Lincoln Riley is a schematic genius who will put Murray in position to succeed. 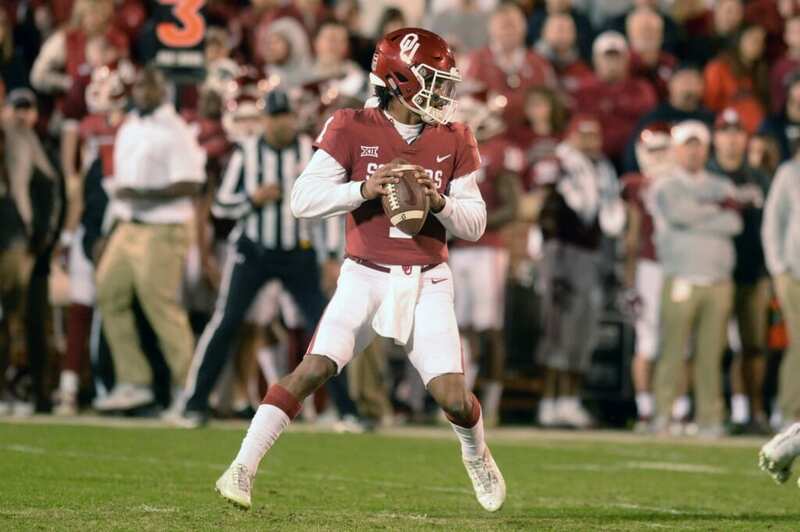 Plus, Oklahoma has the likes of lightning-fast receiver Marquise Brown and elite running back Rodney Anderson as top-tier playmakers to help Murray out.